The Oklahoma Transportation Commission announced the appointment of Tim Gatz as the new Executive Director of the Oklahoma Department of Transportation effective April 1, following a unanimous vote at its Monday, Feb. 11 meeting. 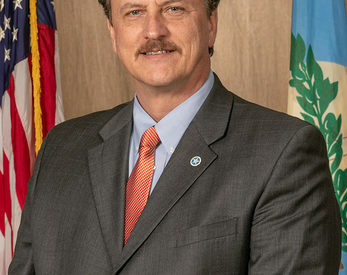 Gatz currently serves as the Secretary of Transportation and the Executive Director of the Oklahoma Turnpike Authority, responsibilities he will retain in addition to his role at ODOT. He will succeed Mike Patterson, who has served as ODOT’s Executive Director since 2013. Gatz began his transportation career in 1990 as a Draftsman at ODOT and rose through the ranks, becoming Deputy Director in 2013. He left ODOT in 2016 to head the state’s turnpike agency, which he has been leading through its largest expansion program in history. He earned a bachelor’s degree in landscape architecture from Oklahoma State University in 1989 and is a registered professional landscape architect. Gatz has received several honors including the Oklahoma Good Roads & Transportation Association’s Bill Skeith Stewardship Award, the Governor’s Public Service Award and the Federal Highway Administration’s Partners In Quality Award. He is a member of the American Association of State Highway and Transportation Officials, the International Bridge, Tunnel and Turnpike Association and the American Society of Landscape Architects. Outgoing Executive Director Mike Patterson will retire in April. His career with ODOT began nearly 40 years ago, when he joined the agency as Deputy Comptroller in 1980. He subsequently served as Comptroller, Director of Finance and Administration, Deputy Director and eventually Executive Director. In 2017, Gov. Mary Fallin appointed him Secretary of Transportation. 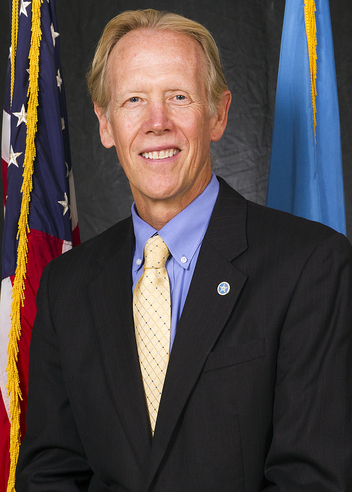 Highlights of his time at ODOT’s helm include the agency nearing its goal of addressing the state’s remaining structurally deficient highway bridges by the end of the decade and major corridor improvements on I-35 in Norman and I-235, SH-74 and the Oklahoma City Boulevard in Oklahoma City. As the agency’s top finance and budget official, Patterson oversaw funding initiatives including the state’s Capital Improvement Program and use of federal Grant Anticipation Revenue Vehicle bonds. He worked closely with the state legislature as one of the architects of the plan to create the Rebuilding Oklahoma Access and Driver Safety fund and new, dedicated state funding for transportation without new taxes, effectively reversing the decades-long trend of flat funding. More recently, he worked with state lawmakers to make texting while driving illegal and to meet federal mandates allowing for the operation of the Oklahoma City Streetcar. Patterson’s tenure saw a wider embrace of new technology and innovations including installation of centerline rumble strips on two-lane highways, a working group on autonomous and connected vehicles, conversion of much of the agency’s statewide fleet to Compressed Natural Gas and installation of the state government’s first electric vehicle charging station. Nationally, Patterson has been active in AASHTO for many years, serving in several leadership roles and testifying before the U.S. Congress on transportation issues. Patterson also served as a member of the Governmental Technology Review Board for the State of Oklahoma, the Oklahoma chapter the of Women’s Transportation Seminar, the State Charitable Campaign and Oklahoma’s Credit Union, formerly the Oklahoma Employees Credit Union. His spare time is devoted to coaching girls fast pitch softball and piloting airplanes. Patterson and his wife, Joy, live in Edmond and have two daughters and five granddaughters.